Matt Parker is a mathematician and a comedian, and he uses both skillsets to great effect in Humble Pi, a book about the maths that is all around us – and what happens when you get it wrong. The stories range from trivial and quirky (such as posters where the cogs won’t turn) to potentially deadly (wobbling bridges and NASA disasters); and Matt manages to highlight the funny and entertaining side in all of them. Humble Pi subtly celebrates the importance of maths to science and engineering, without depressing readers about being “not good at maths”. Angela Gallop has had an extraordinary career as a forensic scientist. In over 40 years, she has worked on a string of high profile cases that made significant advances to forensics and criminal law. 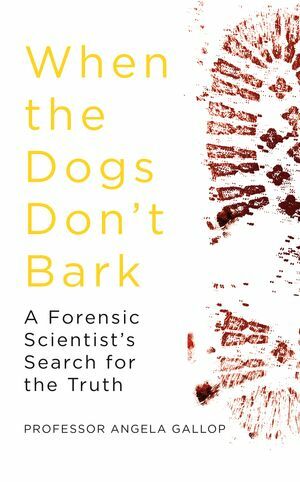 When the Dogs Don’t Bark is her memoir of how science has helped to uncover the truth behind some shocking crimes. While the sensational details showcase her amazingly analytical mind, Angela is also keen to educate her readers about the risks of relying on forensic evidence too heavily. When the Dogs Don’t Bark will appeal to fans of True Crime and police procedurals, while its level of technical detail should engage science buffs. The Guardian newspaper also considers it an essential resource for aspiring crime writers! Wolves get pretty bad press in many cultures, and Elli Radinger is out to show everyone that they are not as Big & Bad as we’ve previously heard. Drawing on 25 years’ of observations, The Wisdom of Wolves describes the social structures and behaviours of wolf packs and shows how similar they are to human societies. The stories of how the entire pack helps to care for their young and their elderly; how the grownups teach their young to play; and how key decisions are made by females and the elderly, are heartwarming and offer surprising insights into kinship and parenting. Sleep. It is a human necessity that has become a luxury in our busy world – so much so that there is an ever-growing industry helping us get the quantity and quality of sleep we want/need. Why Can’t We Sleep? is a timely examination of this hot topic – weaving together a history and critique of sleep research, with neuroscience, psychology, and the social, cultural and economic significance of sleep. This is psychoanalyst Darian Leader’s complex, intelligent, yet highly readable story on how and why humans sleep. Guns, Germs and Steel is a hugely influential book that helped to establish Popular Science as a genre. Jared Diamond examines why some civilisations are more successful than others, in terms of wealth and political power, despite no inherent advantage in genetics or intelligence. He theorises that the tools of success are guns (superior weapons for military might); germs (Eurasian diseases weakening local populations, making them easier to conquer) and steel (advanced technology facilitating imperialism) – and that they all arose from environmental conditions that allowed early adoption of agriculture. Drawing together ideas from history, geography, economics and anthropology, Guns, Germs and Steel offers compelling theories and surprising insights into the development of societies. The deadliest disease in recorded history was the Spanish flu pandemic of 1918, which killed up to 100 million people worldwide. A century later, scientists are still searching for a cure – and an understanding of why this strain disproportionately affects young, apparently-healthy people. Dr Jeremy Brown uses the Spanish flu pandemic as the starting point of his history of our fight against this ubiquitous yet still deadly virus. 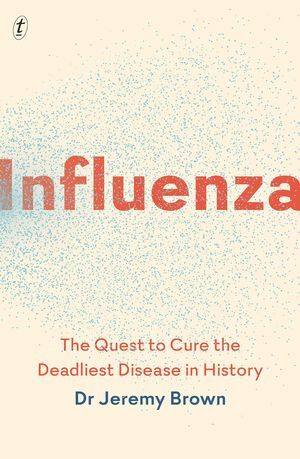 Readers are swept along by this tense mystery/thriller as we begin to understand the high stakes involved – the ‘flu’s ability to spread widely and mutate repeatedly still cause thousands of deaths each year, with widespread social, political and economic consequences, and yet there is still no “bullet-proof” cure or vaccine in sight.